Debate Note: Me and Joepbr agreed to do a model debate on the presidential election. That means we will be represented by the stances of our candidates, Aecio Neves and Dilma Rousseff, and the subsequent parties, Brazil Social Democray Party/Worker's Party. Pro will be representing Aecio Neves (PSDB), and Con will be representing President Dilma Rousseff (PT). I'll admit to being incredibly uneducated in this area, and while I did do some inquistion into Brazillian politics, I'm not entirely complacent applying my assertions until I make some leeway in cross examination. I'll open with several minor arguments to start this debate. Aecio Neve's served three positions in Brazil's legislature. Representative, federal congress president, and senator. Aecio Neve's has connections in the National Congress. A lifetime of participation negotiating with representatives and presiding over an effective legislature. Aecio Neve's has extensive backing in both PSDB and some elements of the PT. That is the sort of experience, incumbent president Dilma Roussef lacks. Throughout democratic history, executive's with networks and influential leadership in a national legislature have far better chances of passing legislation. Richard Nixon and Lyndon B Johnson had two of the highest legislation rates in the world. Both were veterans in the legislature, which carried over to their presidency. A president should have more responsibility than just running an inactive military, or signing laws into effect. A good president should be at the Chamber of Deputies everyday, working with legislators and lawmakers to pass economic and social reform for the people. Aecio Neve's might not be the most vigorously supported candidate in Brazil, but he certainly has the knowledge and training to garner a wide political mandate in Brazil's National Congress. Whereas Dilma Rousseff, a former guerrilla, can not claim the same political upbringing. Dilma Rousseff got into power out of being the perfect "Socialist Revolutionary Figurehead" for the Worker's Party. Aecio Neve's is a real politican, who can enact real reform. Thanks for creating this debate, Legion. Even though the results of the elections have already been announced, I believe that the Brazilian elections is still a relevant issue. Dilma Vana Rousseff was born on December 14th, 1947 in Belo Horizonte, Minas Gerais state, daughter of the Bulgarian immigrant Petar Stefanov Rusev (aka Pedro Rousseff) and the teacher Dilma Jane da Silva Rousseff. She is the 36th president of Brazil (31st if you disregard acting presidents) and the first woman to hold the office. During her youth, she participated in leftist organizations that fought the military dictatorship, leading her to be arrested and tortured by the regime, subsequently leaving Minas Gerais and rebuilding her life in Porto Alegre, Rio Grande do Sul, where she graduated in economy (she also is the first president to be an economist) at the Federal University of Rio Grande do Sul (UFRGS) and help founding the Democratic Labor Party (PDT) in that state after the two party system of the military dictatorship was abolished. In PDT she was Municipal Secretary of Finances of Porto Alegre and State Secretary of Energy of Rio Grande do Sul. After disagreements with the leaders of PDT during the 2000 electoral race for the city hall of Porto Alegre, she left the party and joined the Workers' Party (PT). When Luis Inácio Lula da Silva (PT) was elected president in 2002, she was named Minister of Mines and Energy due to her successful management in the area when she took part in the government of Rio Grande do Sul. During her ministry, she got close to president Lula, and after some of the top members of his cabinet, including the Chief of Staff José Dirceu, were charged in the "mensalão" corruption scandal, she was appointed Lula's new Chief of Staff in 2005, and at the end of his second term, he chose her to succeed him as the presidential candidate of the Workers' Party in the 2010 elections, which she won on runoff voting against PSDB candidate José Serra. She was inaugurated president - the fist elected office she exercised in her life - in January 1st 2011, and In 2013 she was raked the second most powerful woman in the world by Forbes Magazine, behind only German chancellor Angela Merkel. Dilma is now seeking reelection, with former president of the Chamber of Deputies and current Vice President Michel Temer, from the Brazilian Democratic Movement Party (PMDB) as her running mate and a coalition that, besides PT and PMDB also includes PDT, PSD (Socia Democratic Party), PP (Progressive Party), PR (Party of the Republic), PROS (Republican Party of the Social Order), PCdoB (Communist Party of Brazil) and PRB (Brazilian Republican Party). Aécio Neves da Cunha (aka Aécio Never... I mean, Neves) was born on March 10th, 1960 also in Belo Horizonte (actually, both Aécio and Dilma lived in the same affluent area of the city in the late 60s). By his mother's side he is grandson of Tancredo Neves one of the most important political figures in Brazilian history, he was Prime Minister of Brazil during the brief period before the military coup when the country adopted a parliamentary system and was also the fist civilian and oppositionist to be elected (albeit indirectly) president of Brazil after 21 years of military rule, but died before taking office. Aécio Neves' father, Aécio Ferreira da Cunha, however, was a politician from ARENA (National Renewal Alliance), the pro-government party of the two party system enforced by the military dictatorship (Tancredo Neves was a member of the "official oppositionist" Brazilian Democratic Movement - MDB). Being a member of the political elite by all sides, Aécio Neves became active in politics from a young age, participating in his grandfather campaign for governor of Minas Gerais in 1982 and president in 1985, and also in the "Diretas Já" (Directs Now) movement, which called for imediate direct elections for president, opposing election of the president by an electoral college formed by congress in 1985. In 1986 Aécio became the most voted federal deputy in the state of Minas Gerais and joined the constituent assembly that drafted the 1988 constitution. During the presidency of Fernando Henrique Cardoso (1995-2002) he became a leader of the government in Congress, and in 2001, he was elected president of the Chamber of Deputies. In 2002 he became the youngest governor in the history of Minas Gerais and was reelected in 2006 leaving the government with a high approval rating in 2010, when he was elected senator. He is running in a coalition with the DEM (Democrats), PTB (Brazilian Labor Barty), PMN (Party of National Mobilization), SD (Solidarity), PEN (National Ecologic Party), PTN (National Labor Party), PTC (Christian Labor Party) and PTdoB (Labor Party of Brazil), but his running mate, Aloysio Nunes, a senator for São Paulo state, is from the same party as him, the Brazilian Social Democracy Party (PSDB). After the fist round of the elections, in October 5th, he also received support from other defeated candidates, notably Marina Silva and the Brazilian Socialist Party (PSB). Founded 1980 by a group of trade unionists, leftists intellectuals and Catholics linked to the Liberation Theology, it had a major role in the several strikes in the ABC industrial area in the outskirts of São Paulo that marked the final years of the military dictatorship, and had as one of it's main leader Luis Inácio da Silva, aka Lula (who would incorporate his nickname to his name in order to run in elections), a union leader born in the impoverished interior of Pernambuco, who moved to São Paulo still as a child in search for better life conditions. Lula was launched candidate for PT in the first direct presidential elections after the end of the dictatorship, in 1989, and went to the second round, being defeated by the right wing Fernando Collor de Melo (who was later impeached). Lula was also candidate in 1994 and 1998, losing both times in the first round to Fernando Henrique Cardoso, from PSDB, and in 2002 he became the first left wing candidate to become president of Brazil since the 1964 military coup, and since then, the PT is the party with most seats in the Chamber of Deputies and the second in the Senate, and is also the second biggest party in number of members, only behind the PMDB. The party has a solid left-wing position, based on ideas of democratic socialism. It used to be a strong socialist party in opposition, but it's relatively more moderate in government. It's symbol is a red star, it's members are called "petistas" and it's electoral number is 13. Created in 1988 by a group of intellectuals dissidents of the PMDB (successor of the opposition party during the military dictatorship - MDB, which had many of its politicians leaving the party to create new ones after a multiparty system was legalized), it was originally intended to be a left-leaning party inspired on the European social democratic parties, among it's founders are people like Fernando Henrique Cardoso (a sociology scholar who was one of the exponents of the marxist dependency theory, and later became president of Brazil), Luis Carlos Bresser-Pereira (Minister of Finance in 1989, responsible for one of the many failed plans to stop hyperinflation) and José Serra (A leader of leftist student movements in his youth). With time though, the party drifted away from the left, specially during Fernando Henrique Cardoso's presidency, when it had PT, a solid left wing party as it's main opposition, nowadays it's hard to say exactly what ideology it follows, with some people describing it as center-left, others as centrist or center-right (and petistas describe it as either far right wing or facist), however, it's supporters tend to be right wing. It's symbol is a blue and yellow toucan, and because of that, it's members are called "tucanos", and it's electoral number is 45. Due to time constraints, I'll develop my arguments in the next round, but I'd like to point out that the only argument presented by my opponent is quite weak, since Aécio Neves was president of the Chamber of Deputies (and not the entire National Congress) in 2001, when the PSDB and it's allies had the majority of seats in congress, the situation now is completely different, with PT as the biggest party in the Chamber and the second biggest in the Senate, and even though he is a Senator now, his party and allies hold less than 30% of the seats there, while Dilma, despite having never been elected to Congress has been quite successful in managing the relations between the government and it's allies in Congress. Having experience as a congressman is definitely not a determining factor in the success of a president, Fernando Collor de Melo, for example, was a Federal Deputy between 1983 and 1987, but he still had terrible relations with the Congress as president, which was one of the main causes of his impeachment in 1992. Plutarch: In your opinion, what are the biggest issues in Brazilian politics? We can infer that Aecio Neves is a social liberal and economic liberal. Meaning Aecio Neves believes in social reform, and smaller government and less spending. The opposition has told us that Aecio Neves is infamous for cutting spending in his time as governor. Additionally, the opposition had conceded that the two biggest issues in Brazilian politics include the economy and political reform, or how legislation is passed. The final statement was that parties must make alliances and agreements to pass legislation and keep the kettle burning. I will later relate this to my argument that Aecio Neves time as a senator and director of the Chamber of Deputies makes him more effective at running a unified government, and how the PSDB's left and right members and alliances, would give them a larger and clearer mandate for helping the citizens of Brazil. The government will argue that Aecio Neves and the PSDB's policies would be superior in the goal of fixing the economy. The government will also assert that the bipartisan support of Aecio Neves and the PSDB give way for better and more stable governance. When arguing economic reform, we will relate numerous examples of Brazil's reckless spending and the need for a smaller, but expanding government. The oppositions rebuttal, if anything, is supportive of our case. To be president of the Chamber of Deputies, is to control the entire legislative process of Brazil's lower house. Not only that, but Aecio Neves had an extremely high legislative passage rate during his time as president. The fact that the PSDB held a political majority under his time as president, further shows Aecio Neves ability to maintain a working government, especially since, as the opposition conceded, Brazillian politics requires bipartisian support to pass legislation and form a government. The PSDB, under the direction of Aecio Neves, managed to not only form a solid bloc in the Chamber of Deputies, but pass legislation with ease. That, combined with Aecio Neve's time in the senate, makes him a fearsome politician with a powerful mandate. It can also be affirmed that Aecio Neves time as governor, as seen throughout history, gives him a huge political standing with the 20 million people of Minas Gerais. The PSDB, whether right or left, has some appeal to both sides of the political spectrum. Parliamentary code off ethics changed legislative procedure in the Chamber of Deputies, lessened corruption, and established an ethical code of procedure to conducting parliament in Brazil. Created an infrastructure program which connected over 225 municipalities in his state with paved roads. Launched the "Management Shock Program". Dropped homicide rates by 50% in every municipality it was instituted in. Infamously lowered reckless government spending by billions, while investing billions of dollars into social care. Supporter of "Bolsa Familia", which lowered inequality rates by up to 20%, and provided funding to 26% of Brazilians. It is important to note, that while Aecio Neves himself resides in the center, as he has always made his intentions for governance clear. Aecio Neve's has ran on, and acted on, policies which reduce poverty, lower corruption, and increase jobs. Dilma Rousseff claims to want the same things, and no one is denying that. The government doubts that she has the political capabilities, experience, and know how to achieve those goals. Dilma Rousseff barely scrapped the election in securing her second term. The people clearly want change. While Aecio Neves was vigorously building his political career, Dilma Rousseff was leading guerrillas in the jungle. The right candidate for president is clear. The time when the PSDB rule the country was also the period in which it moved away from the left-wing position it was initially intended to have. The main reason for that were the policies implemented by FHC's government, that not only didn't improved the lives of the poorest people in the country, but also had a terrible impact in many of them, not to mention the submissive and uninspiring foreign policy implemented by the same man that decades before had recognized the political and economical dependency on the rich nations as the main reason for the underdevelopment of the poorest countries. My opponent might try to use the Real Plan, which tucanos claim to be a creation of FHC, as an argument in favor of the PSDB economic policies, but this argument isn't sound, first because the Real Plan was created during the government of Itamar Franco (1992-1994), and most of the ideas linking FHC with the plan was mostly electoral rhetoric made in the 1994 race created to favor FHC who was then Itamar's ally. While the attributing the origing of the Real plan to the PSDB is debatable, the fact that FHC's government handled it terribly is not. Nowadays Aécio criticizes Dilma because the inflation rates in her government are a little close to the ceiling of 6.5% established by the Real Plan, while conveniently forgetting that those rates were above the ceiling during the majority of FHC's term. The biggest legacy of the PSDB was definitely not the Real Plan, but the giant debt created by that government, which by the way was the most indebted government in the history of the country, being forced to seek help from the IMF not once nor twice, but three times in eight years, and in return, the government had to implement tough austerity measures that caused a terrible unemployment crisis at the end of it's term. It's not a surprise that inequality rose under that government that deceptively calls itself "social democratic". After looking at the worst data from the FHC government, some tucanos would say that they were only a necessary collateral effect of the stabilization of the economy which according to them was the only thing that allowed the PT to make the social advances that even they agree that it did and is still doing, however the fact that the tucanos had to resort to the IMF three times and that they end their government in a terrible crisis with no control over inflation plus high unemployment already shows that there was no such a thing as economic stabilization when they were in power, and that's not all: after taking power, the PT not only were able to make the social development that the PSDB had failed to do , but they also handled the economy much more successfully than the PSDB ever did, and under Lula, the country went from debtor to the IMF to lender, and kept the inflation under control, so it's obviously that there was nothing of necessary on the mismanagement of the economy conducted by the PSDB, and that economical stability and social programs aren't mutually exclusive, as the tucanos might try to argue. Unlike the PSDB, the PT has as it's main legacy the social programs that had as consequences a sharp drop in poverty and inequality in level that had never been seen before in the country. It's interesting that my opponent tries to use the social programs like "Bolsa Família" and programs to combat rural poverty as if they are an achievement of Aécio Neves administration, while they are in fact the most important programs of the Federal Government. 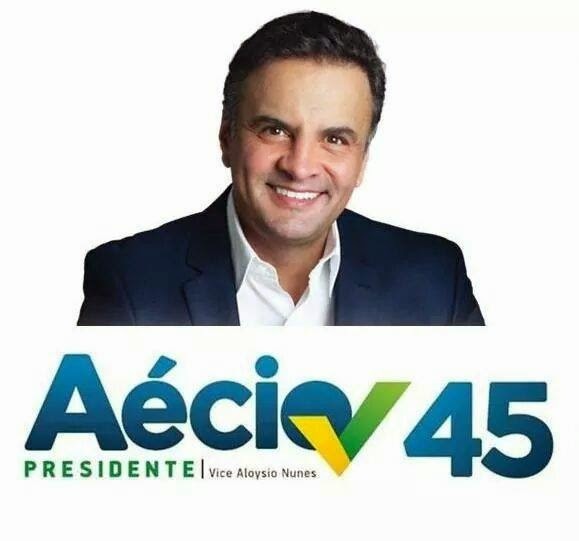 It's true that Aécio tried use those programs, which he gave no substantial contribution to create, to boost his popularity in his state, but it's also true that this dishonest appropriation of the Federal Government success is the only reason for his re-election as governor in 2006 and election to the senate in 2010, but it didn't last long, after he faced those who were really responsible for that development in this year's election, he suffered a triple defeat in Minas Gerais: he lost in both the first and the second rounds and also failed to boost the PSDB candidate for governor, who lost to the PT still on the first round. My opponent still tries to argue that Aécio would have more skills to deal with congress only because he was president of the Chamber of Deputies when his coalition hold a vast majority of that house, while choosing to ignore the fact that the current composition of the congress is completely different from the one that he faced 13 years ago. Between 1998 and 2002, out of the 513 seats on the Chamber of Deputies, a total of 295, that is, almost 60% of the total was held by the four parties that supported president Fernando Henrique Cardoso on the 1998 elections: PSDB, PFL (later renamed DEM), PP, and PTB, while about 100 other seats were held by the PMDB and other parties that, despite not supporting FHC on the elections could easily turn to his side on exchange for some ministries or other benefits, so the government had an undisputed majority. It's also important to point the fact that, in 2011, a large number of oppositionist deputies and senators, mostly from the DEM, left their parties to form the PSD, a new party that now is a strong supporter of the government. By that time, Aécio was already the main leader of the opposition in congress, so if he failed to prevent this from happening it's a proof that he is not that good as a leader when the numbers aren't on his sides, as they were in 2001. My opponent tries to portray Aécio as a skillful politician who was "vigorously building his career" when Dilma "leading gerrillas in the jungle", while the truth is, that while Dilma was fighting a terrible dictatorship and being persecuted and tortured by it, Aécio was benefiting from the fact that his father was a politician that supported such a dictatorship, spending most of his time in the beaches in Rio and eventually getting a post in the government in Minas Gerais simply because his grandfather was governor (nepotism is supposed to be a crime), also Aécio's love for Rio's beaches appears to be bigger than the one he has to politics and his state: during the last four years, while he was supposed to be working as leader of the opposition in Brasilia and a senator representing Minas Gerais, he spent most of his time in neither of those places, but on vacations in Rio. Maybe that's the reason why he was a failure in heading the opposition during that period and also why he had a triple defeat in Minas now. 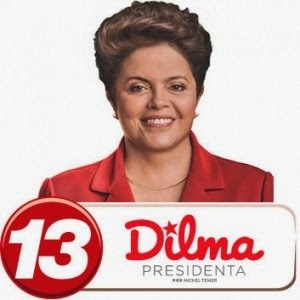 With those facts, it's clear that Dilma is by far the best choice on these elections. Plutarch: Would you concede that Aecio Neves has more political expierience than Dilma Rousseff? Unfortunately there was not enough time left in the cross-examination period for me to answer my opponent's question, therefore, I'll answer it on this round. There are different ways to interpret the extent of political experience of a particular politician, for example, if by political experience you consider only the time in which a person has exercised an elected office, than you can say that Aécio has more experience than Dilma, after all the only elected office she ever had was president, although due to the importance of the office of president, it's possible to argue that having a successful 4 year term as president is equally or more worthy in terms of experience than several years in other posts, after all, there are several matters that are exclusive to the president (like foreign policy, for example) that no matter how many times you get elected for Congress you'll never gain as much experience in them as an incumbent president has. However, if you define the concept of "political experience" based on less superficial ideas of exercising elected offices, than you will find a very different answer for that question. Aécio Neves only entered politics early because it's his family business, and he only had success in it because of his surname, if he wasn't the grandson of one of the most important leaders in the history of the country I doubt that he would have a very promising career, after all, the first time he was elected for congress coincided with the time when his grandfather tragically died of intestinal cancer just days before taking office as the first civilian president after 20 years of military dictatorship, if it wasn't for the emotional push - which he certainly took advantage of in the elections - it's questionable that he would have anything else to offer to the voters that could get him elected. On the other hand, Dilma didn't enter politics because of her family. Her father was a Bulgarian immigrant that had nothing to do with politics, and even though he did manage to make a name for himself as a businessman, he never ventured in the political world, therefore, Dilma's activism in politics comes entirely from her passion and desire for a more free and equal society, which lead her to fight - and literally fight, not just verbally oppose, like someone's grandfather did - a horribly repressive military dictatorship that had no concern for the lives of the workers and less fortunate people. Later in her life, she would also dedicate herself to supporting and advising leaders and dealing with the government machine. As secretary and minister she was much more responsible for actually solving problems than the elected politicians who were much more concerned with their images and the next elections to deal with those things themselves. So the answer is yes, in many ways, Dilma has much more experience with politics than Aécio - and her experiences are on the best things that politics has to offer, that is, being a channel for expressing one's ideals and beliefs and actually solving the problems that society and the state face, she doesn't, however, have much experience with the "dark side" of politics, that is of power hungry political dynasties, shady deals and taking advantage of other people's tragedies - and this is by far her best quality (I couldn't say the same thing about Aécio). After everything that was presented on this debate, I believe there is enough evidence for you to vote 13... I mean, CON. I'll use my 5000 characters to refute the 15,000 characters in arguments in front of me. I'm not sure how this will affect my summary, but unfortunately, I wont be able to make one. The opposition really shouldn't of made new arguments in the last round before leader replies, but it isn't a huge deal. This argument is extremely confusing. The real plan wasn't mentioned once in my arguments, and the policy, as the opposition states, was instituted under the Itamar Franco government, not the PDSB or Aecio Neves. This argument shouldn't be given credibility, because it wasn't made, nor do the modern PDSB continue to use this plan. Which went extinct in the 90's. The argument is irrelevant to the debate.The Aecio Neves is not FHC, so arguments criticizing the Aecio Neves for FHC policies just don't make sense. The argument "Tucano way of governing", after vigorous study, should be completely ignored. While I think the opposition was trying to credibility snipe the PDSB, but it was kind of out of place and outdated. In fact, many argue that the extreme inflation rates of Brazil's currency at the time boosted them to trade power status. Again, the opposition is attacking former president Fernando Henrique Cardoso to discredit Aecio Neves. This is a fallacy. The whole argument is a tale of how Cardoso was bad and the PT is good for not being in Cardoso's coalition. It really doesn't promote an image that the PT are good at governing. Just that the PT don't govern like Cardoso. There is no solvency in this argument. The opposition beat around the bush with Bolsa Familia and Management Shock. The opposition complains that Aecio Neves got unfairly elected for supporting these programs. I don't think so. I think Aecio Neves got elected because he DID support these programs. The other arguments don't really influence the case. Saying that Aecio Neves isn't qualified for governor because he failed to be reelected for a third term in Minas Gerais isn't exactly an argument that he shouldn't be president. This argument comes down to perspective. I refuted this last round, but the opposition is keen on restating instead of rebutting. The opposition views Aecio Neves as not being Congressionally experienced simply because the PDSB and 3 other parties held a vast congressional coalition in his time. I say that this is proof of his merit. Aecio Neves formed one of the largest, most powerful, and effective coalitions in Brazils history. Having one of the highest legislation rates in history, overseeing Brazil in a time of vast economic growth. Aecio Neves had it easy because he was good at his job. Aecio Neves held five positions. Governor, Deputy Representative, President of the Chamber, Senator, and President of the PDSB. Dilma Rousseff can never claim that experience. Dilma Rousseff had extremely low approval ratings and mandates during her reelection. Dilma Rousseff will likely have an approval rating below 25% by the time she leaves the presidency. I agree with the opposition. Aecio Neves would of had a harder time in congress 5 years before his time as president. But the job would of still got done, like it always has under his time in office. Aecio Neves has a lifetime of experience in politics, holding positions in the highest places in government. That is invaluable. Aecio Neves and Dilma Rousseff believe in the same things. This comes down to who will have a better chance of enacting their reforms. This argument is very irrelevant, like the one with Cardado's. Aecio Neve's shouldn't be judged for what his father believed and supported. Aecio Neves earned all his offices in post dictatorship Brazil. There's no proof to the contrary. It was proved that Aecio Neves and Dilma Rousseff believe in the same things. Just that Aecio Neves will have a better chance at enacting reform. Aecio Neves has done very good at every position he has held. This was not contested. The opposition didn't argue why Dilma Rousseff is better. Just that Aecio Neves is "bad". I pushed only a couple of points this debate, but I'm sure they're all very strong. Me and Joe have vigorously followed this presidential election, so it would be appreciated if the judges can show gracious and fair judging. Thank you, and vote pro. Judge Note: The real plan is still in place, and although I have an appropriate rebuttal and I don't think this hurts my case at all, I should still inform the judges that I was mistaken.